Toxic leaders. The topic frequently pops up in both secular and religious news. Undeniably, toxic leaders even flourish within fundamental churches and organizations. 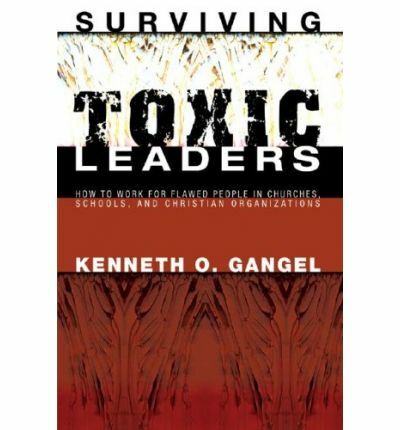 Kenneth Gangel’s book, Surviving Toxic Leaders, answers two main questions: what does toxicity look like and how should people under toxic leaders respond effectively. The author was uniquely qualified to contribute to this discussion. His obituary (2009) states, “Dr. Gangel was one of the most influential Christian educators of the 20th century; a leader of leaders; and a champion of the Christian family. Kenn authored or edited 57 books and lectured in more than 40 educational institutions worldwide.” His educational credentials also include three master’s level seminary degrees and an earned PhD in educational administration. His resume marches through administrative posts in many institutions including Dallas Theological Seminary and Trinity Evangelical Divinity School. All this to say that the author of this book is familiar with leadership issues within Christianity and within his own heart. He knows what he is talking about. Surviving Toxic Leaders is somewhat of a Christian angle on Jean Lipman-Blumen’s explosive book, The Allure of Toxic Leaders: Why We Follow Destructive Bosses and Corrupt Politicians—and How We Can Survive Them (2005). Gangel refers frequently to this book throughout the pages, and perhaps his book is best understood by those who have read Lipman-Blumen’s work. Not having read Lipman-Blumen’s work myself, however, I still found Gangel’s book helpful. At 91 pages it is an easy weekend read although I found the style a bit choppy. The number of real life stories and outside quotes certify both the widespread poison of toxic leadership and our need for real answers. The bulk of the book discusses nine characteristics of toxicity. His inclusion of dishonesty, inordinate ambition, cruelty, bullying, and autocratic behaviour as toxic behaviours were no surprise. These are flaws that anyone would consider toxic to an organisation. However, Gangel also holds leaders accountable for less aggressive or manipulative leadership failings: incompetence, laziness, ignorance, and the pitfalls of fame. While cruel words and bullying tactics leave wounds for all to see, a reckless, know-it-all Christian leader seeps toxicity throughout the organisation by his failure to be a humble and teachable team player. The book employs not only true examples but also biblical stories to flesh out the concepts that Kenn is trying to describe. He makes it clear that even though a leader may not be intentionally toxic, the effect on those he leads is just as devastating as if he had premeditated every cruel tactic. The last two chapters turn to the second question: how should people under toxic leadership respond? Should they just put up with a less than desirable situation? Should they directly challenge abuses and force a change? Should they quietly influence change without tackling the beast head-on? Should they just walk away? In line with Galatians 6:1, Gangel’s first suggestion urges each person to examine himself for toxicity as “the easiest route to change.” Once a person recognises toxicity in himself, the battle is already half done. I suppose that is why he devotes the majority of chapters to identifying toxicity. He wants those who live under toxic leadership to examine themselves. He offers three humbling points for people who want to self-detox. 1. Publicly admit any behavior which has caused your people hurt or discouragement. 2. Ask for forgiveness and trust, and make someone you trust a monitor of your public behavior. 3. Be patient. Change within yourself and within the church takes time. If you have ever worked under a toxic leader, however, you know that the self-detox scenario is a rather optimistic expectation if you can even get your toxic leader to acknowledge the book. In the last chapter, Gangel outlines both a suggestion for getting rid of a toxic leader as well as helpful tips for those who believe they should weather the storm with patience. In tossing out a leader, he recommends a kind of “resistance movement” made up of courageous people who believe “that leadership and true democracy is open to all” and are willing to risk their future in the organisation in the hope of change. In other words, try this idea only if you have a well-thought out Plan B if things go awry. 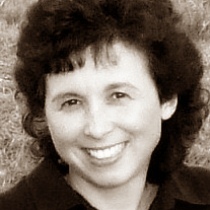 “The trick requires promoting constructive conflict and preventing dysfunctional conflict.” On the other hand, Gangel suggests that an equally courageous route is to stay put until you “clearly understand that God has finished with you in that place.” While encouraging his readers that God may be using that difficult situation for their own growth in Christlikeness, Gangel also presents a couple of cautions to those who consider this option. For example, cooperating with a toxic leader does not mean that a person must sacrifice his creativity or become involved in unethical behaviour. Disappointingly but not surprisingly, there are no easy answers when handling toxic leaders. I think that some who read this post could say that of themselves too. ** That’s not to say that I don’t believe that books that explore an abused person’s need for recovery are not helpful and necessary. Dealing with hurt and damage caused by spiritual abuse is absolutely essential, but Gangel’s book is not designed to deal with those issues. If you are looking for reading for a soul damaged by abuse, I recommend Soul Repair by VanVonderen, Ryan and Ryan.